Two cousins accused of carrying out a gruesome quadruple murder in Bucks County earlier this summer will head to trial facing a litany of criminal charges. 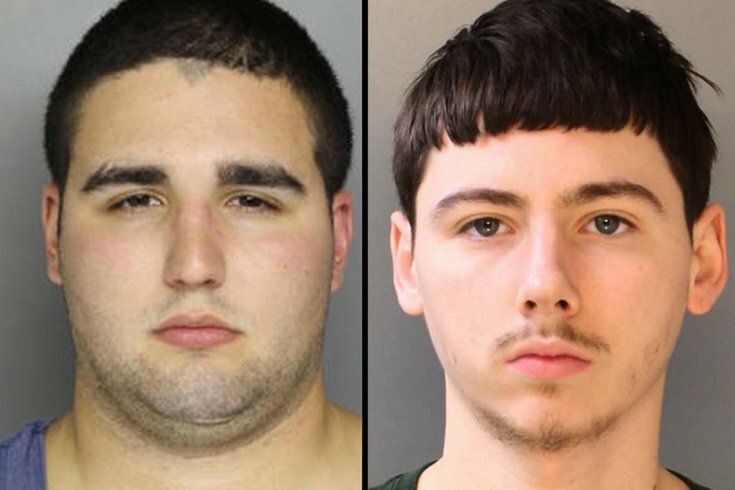 Cosmo DiNardo, 20, of Bensalem, is accused of killing four men found buried on his parent's 80-acre farm in Bucks County last July. His cousin, Sean Kratz, 20, of Northeast Philadelphia, allegedly participated in three of the slayings. DiNardo waived his preliminary hearing on Thursday, according to the Bucks County District Attorney's Office. Magisterial District Judge Maggie Snow, of Doylestown, held Kratz for trial on all charges filed against him. At trial, both DiNardo and Kratz will face a lengthy list of charges that include criminal homicide, abuse of a corpse, robbery with the intent to inflict serious bodily harm and various conspiracy offenses. DiNardo appeared via video conference for his 11 a.m. hearing before Snow. Kratz appeared in person for his preliminary hearing, held at 1:30 p.m. Both DiNardo and Kratz have arraignment hearings slated for Oct. 6. They each are being held without bail at the Bucks County Correctional Facility. DiNardo is accused of killing Jimi Taro Patrick, 19, of Newtown Township on July 5 and burying him in a grave on his parents' farm in Solebury Township. 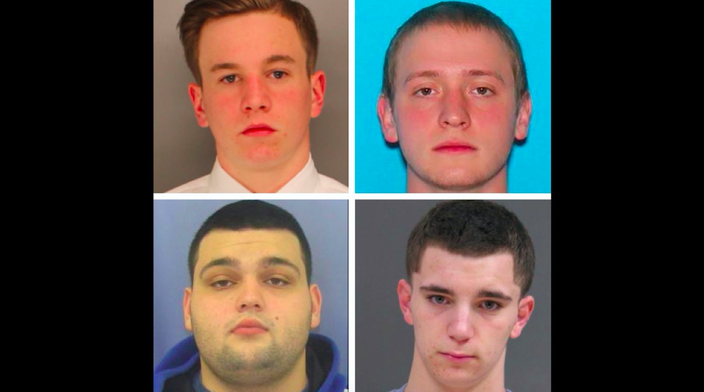 Two days later, DiNardo and Kratz, allegedly killed Dean Finocchiaro, 19, of Middletown Township; Thomas Meo, 21, of Plumstead Township; and Mark Sturgis, 22, of Pennsburg. Their bodies were found in a 12-foot-deep common grave discovered by cadaver dogs. Kratz, 20, of Northeast Philadelphia, has a preliminary hearing slated for 1:30 p.m. before Snow. He is charged with killing Finocchiaro, Meo and Sturgis, among other charges. Kratz's attorney has vowed to offer a "vigorous" defense. DiNardo allegedly confessed to his role in the grisly slayings, according to his lawyer. Prosecutors took the death penalty off the table for DiNardo in exchange for his cooperation, which led them to Patrick's body – located as much as a half mile from the common grave on the farm. The quadruple homicide – and the preceding, days-long search for the bodies – brought national attention to an area known for its bucolic setting. According to charging documents, DiNardo shot Patrick at his parents' farm on July 5 after arranging a marijuana deal. He then allegedly retrieved a backhoe and dug a six-foot hole to bury Patrick's body. These are the four men found buried on the DiNardo family's farm in Bucks County. Clockwise from the top left: Jimi Tar Patrick, Thomas Charles Meo, Dean Andrew Finocchiaro and Mark Richard Sturgis. Kratz and DiNardo each allegedly shot Finocchiaro on the DiNardo family farm on July 7, again after arranging to sell the victim marijuana. Later that day, DiNardo allegedly shot both Meo and Sturgis at an adjacent property on Lower York Road that is also owned by his parents. DiNardo then allegedly ran over Meo with a backhoe before using it lift both Meo and Sturgis' bodies into a metal tank where he already had placed Finocchiaro's body. DiNardo told investigators that he then poured gasoline and lit the tank, according to charging documents. He and Kratz allegedly returned the next day to bury the tank and the bodies.